Despite revealing that Uncharted 4: A Thief’s End will feature dialogue options, Naughty Dog is assuring fans that the game has a “very specific story” and won’t have branching endings. News of this comes from Naughty Dog’s Neil Druckmann, who told Eurogamer that while players will have opportunities to pick what protagonist Nathan Drake will say during select sequences, the studio’s intention with Uncharted 4 is not to make something that will be altogether different based on player choice. “The thing I want to make sure we’re clear about is that we’re not making Mass Effect,” Druckmann began. “Uncharted has a very specific story, it has a very specific ending that’s very definitive to the franchise. But every once in a while we felt a dialogue tree would really bring you more into the scene. Uncharted 4: A Thief’s End is coming to PlayStation 4 on April 26th, and is the final game that Naughty Dog will develop in the series. What that means for protagonist Nathan Drake is unknown at this point, but Naughty Dog has said that a fifth game featuring him would “really hard” to realize. 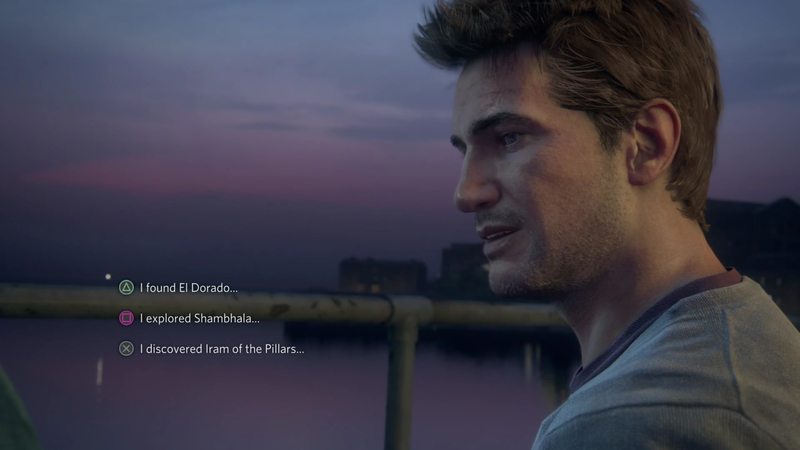 For more on Uncharted 4, check out our thoughts on how the series should wrap up.